A full range with a capacity reaching 35,000 lbs. 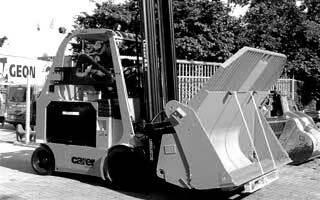 Carer is a global business specializing in the production of high capacity electric forklifts. With a growing demand for businesses to reduce their carbon footprint, Carer focuses on providing green materials handling solutions for applications where diesel or gas powered IC lift trucks were previously the only option. Carer Forklifts is proud to offer an exclusive range of counterbalanced electric forklift trucks with capacities up to 44,000 lbs. 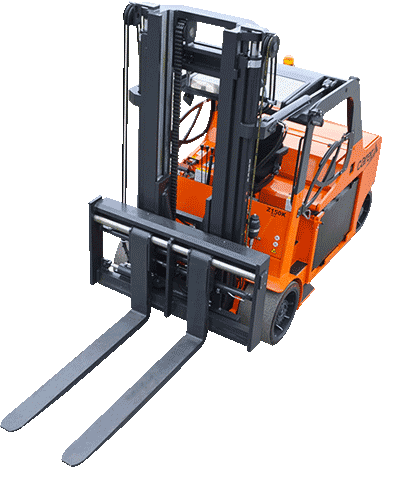 – the highest capacity electric forklifts in the North American market. Providing exceptional performance and considerable savings on overall running costs, Carer improves efficiency while reducing harmful emissions and noise pollution. 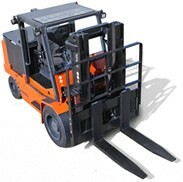 Contact us now to learn more about how Carer Electric Forklifts can save you money! SPED: The Special Product Equipment Department designs and manufactures custom machines to meet the specific handling needs of our customers. For decades, Carer Electric Forklifts has been redefining materials handling in high capacity applications across Europe. Our knowledge and experience in industries such as pulp and paper to ports and intermodal logistics, means that we can provide customized solutions that meet any application's needs.